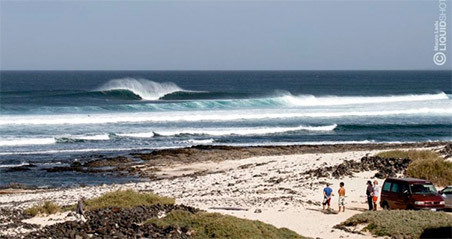 This package is dedicated to all those who want to discover the real Black Africa, outside Dakar, in Senegal. 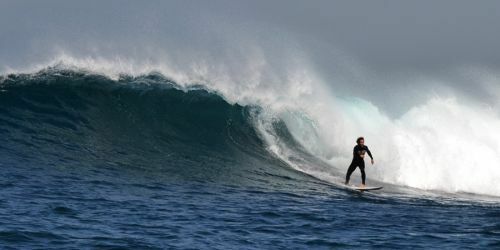 We offer the option to add to our surf camp pack, an Adventure Pack of 2 days/1 night or 3 days/2 nights or 5 days/4 nights. We visit with the 4x4 (or motorbike for the individual holdings) the pink lake, fishing villages, the natural park of Bandia where you do the safari to meet giraffes, rhinos, alligators, hyenas, gazelles, ostriches, buffalo, monkeys , in total freedom. You will stay in typical Bedouin tents in the desert and eat on the beach where the fishermen bring fresh fish. The local guides are European, equipped with 4x4 and enduro BMW ideal for driving around this area. Day 1- departing at 9.00 from Surf camp with 4x4 tour and visit to the pink lake, then continue north, stop in Kayar, a fishermen village of 25,000 inhabitants, a local guide will explain 'the history of the country, lunch between the dugouts, grilled fish directly on the beach. In the afternoon you will climb for another 80 km and arrive at the desert area of Lompoul. Aperitif, dinner, bed and breakfast in the camp made up of Bedouin tents. On this day, depending on the tide or the next morning or afternoon you take a part of the journey with the 4x4 directly on the endless beaches of the north coast. Day 2- After breakfast we leave the north and cross the hinterland with typical villages, pick nick at noon in the bush. Then you reach the south coast, Saly or Somone important tourist centers of Senegal, afternoon visit to the natural park of Bandia with wild animals living in freedom (monkeys, crocodiles, rhinos, hyenas, buffalos, giraffes, gazelles, ostriches, etc..) Return Surf camp. Day 2- After breakfast we leave the north and cross the hinterland with typical villagges, pick nick at noon in the bush. Then you reach the south coast, step to the island of shells and the large Baobab, then the sine salum where falls into the sea for many miles and remain red tracks with water on right and left sides ... Evening arrival in Palmarin, dinner, bed and breakfast in a very nice residence run by the nice Max from Senegal who has lived 25 years in Italy and cooking very well. Day 3- Leave Palmarin, you get to Saly tourist center with craft market, snack at noon; afternoon visit to the natural park of Bandia with wild animals living in freedom (monkeys, crocodiles, rhinos, hyenas, buffalos, giraffes, gazelles, ostriches, etc.. .) Return to Surf camp. Day 2- You will leave the desert and go up again to the north, short stop for a picknik and you get to S.Luis, afternoon visit to the former capital of Senegal and lang barbarie. Dinner at a great restaurant on the Senegal River. Bed and breakfast at the hotel with a pool. Day 3- 10 hours towards the far north near the border of Mauritania, visit by canoe to the park of Djoudi; unesco world heritage site where you can see millions of migratory species as well as crocodiles and boa. In the late afternoon return to S.Luis relaxation pool or beach. Dinner and overnight stay in a good restaurant on the Senegal River. Day 4- Leave S.Luis and cross the hinterland of Senegal, the real African savannah, through tracks among traditional villages with straw huts, we visit and get to know personally customs etc.. Snack at noon, we arrive in the sine salum where the sea falls for many kilometers and remain red tracks with water on right and left sides ... Evening arrival in Palmarin, dinner, bed and breakfast in a very nice residence run by Max Senegal who has lived 25 years in Italy and cooking very well. 4x4 transportation, fuel, guide, entrances to parks, dinner, accommodation, breakfast, pick nic at noon, drinking water, fruit during transfers. NOT included: alcoholic and not beverages, other than water. NOTE: for individual participants, transportation may be by enduro (as a passenger) or 4x4. Dakar international airport (DKR) is easily accessible from many international airports around the world. 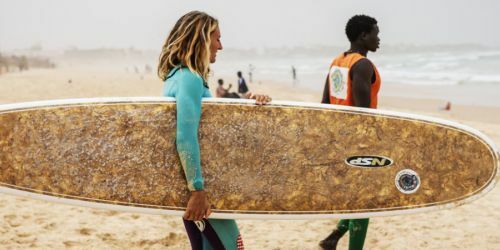 Surfcamp airport shuttle: Included in the price of the package, we offer transfer from / to Dakar airport, with private driver, by car and boat.